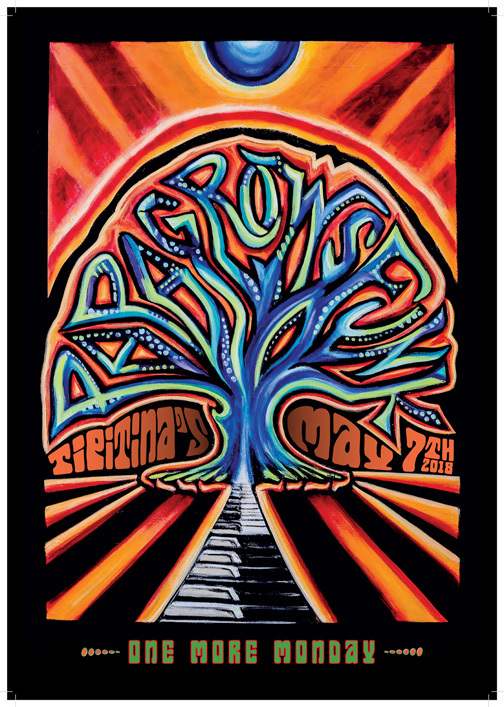 The “PGF Tree of Life” was painted by New Orleans artist, Hanna Whitt, exclusively for celebrating Papa Grows Funk’s “One More Monday” Reunion Show at Tipitina’s in New Orleans on Monday, May 7th, 2018. The poster is autographed by all members of Papa Grows Funk: John “Papa” Gros, Jason Mingledorff, June Yamagishi, Marc Pero, Jeffery Alexander. The full color, 12″ by 20″ poster is made of high quality, heavy duty 18pt card stock and will be shipped in a 2″ by 14″ shipping tube.